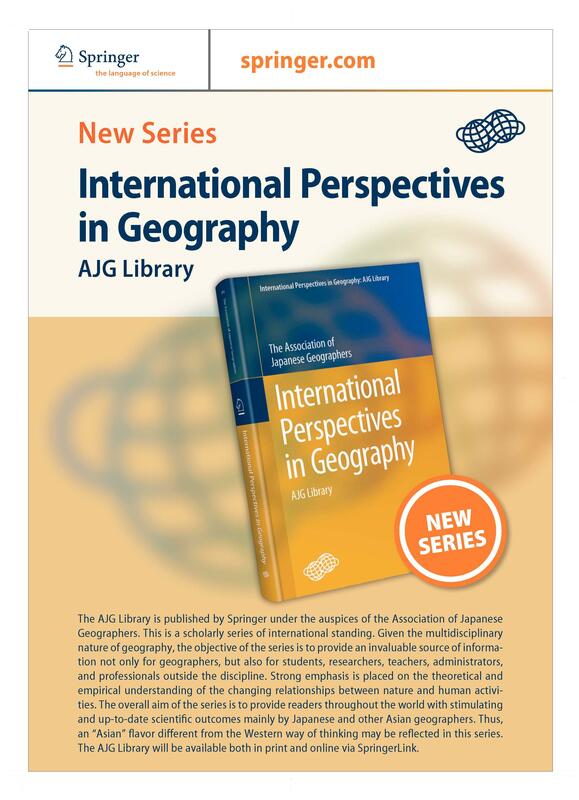 The AJG Library is published by Springer under the auspices of the Association of Japanese Geographers. This is a scholarly series of international standing. Given the multidisciplinary nature of geography, the objective of the series is to provide an invaluable source of information not only for geographers, but also for students, researchers, teachers, administrators, and professionals outside the discipline. Strong emphasis is placed on the theoretical and empirical understanding of the changing relationships between nature and human activities. The overall aim of the series is to provide readers throughout the world with stimulating and up-to-date scientific outcomes mainly by Japanese and other Asian geographers. Thus, an “Asian” flavor different from the Western way of thinking may be reflected in this series. 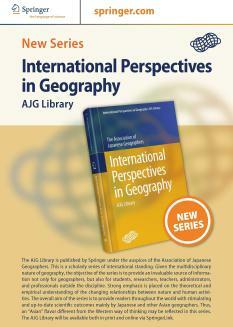 The AJG Library will be available both in print and online via SpringerLink. The Association of Japanese Geographers (AJG), founded in 1925, is one of the largest and leading organizations on geographical research in Asia and the Pacific Rim today, with around 3000 members. AJG is devoted to promoting research on various aspects of human and physical geography and contributing to academic development through exchanges of information and knowledge with relevant internal and external academic communities. Members are tackling contemporary issues such as global warming, air/water pollution, natural disasters, rapid urbanization, irregular land-use changes, and regional disparities through comprehensive investigation into the earth and its people. In addition, to make the next generation aware of these academic achievements, the members are engaged in teaching and outreach activities of spreading geographical awareness. With the recent developments and much improved international linkages, AJG launches the publication of the AJG Library series in 2012. Copyright © The Association of Japanese Geographers, AJG Library. All Rights Reserved.